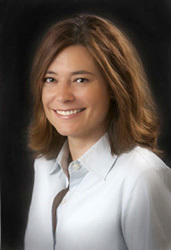 Lesley Hammer is the office manager and has been with Hammer Chiropractic since 1995. 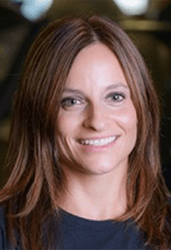 She has a Bachelor of Science degree in History and Business Administration from the University of Wisconsin – Eau Claire and a MBA in Healthcare Administration from the University of Phoenix. She enjoys golf, reading, running and spending time with her husband Chris and their three sons, Spencer, Greyson and Elias. Carl Ofner, is “the man, the myth, the legend”…in his own mind. When not golfing or officiating weddings in Southern Wisconsin, he can be located in front of his large plasma TV with HDTV and surround sound. He has a Bachelors of Science degree in Exercise Physiology and Psychology from the University of Wisconsin – LaCrosse. 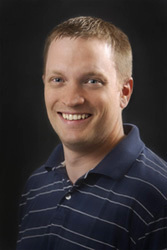 He has been with Hammer Chiropractic since 2002 as a Chiropractic Assistant. September 16, 2007 on #8 at Riverside Golf Club in Janesville, WI. Sarah De La Flor has been working as a chiropractic technician at Hammer Chiropractic since July 2016. She is a graduate of Lansing Community College in Lansing, MI and is certified as a personal trainer, group fitness instructor, Silver Sneakers instructor, and is TRX qualified. Sarah enjoys spending time with her kids Parker and Duke, and kitties Monty and Felix. When she isn’t caring for patients at Hammer Chiropractic or instructing exercise classes, she can be found working out, watching movies and planning her next travel experience.